Urban row house design meets rugged mountain scenery at this two bedroom, two and a half bath townhome located in the heart of downtown. Leave the car at home and walk to restaurants and shopping. 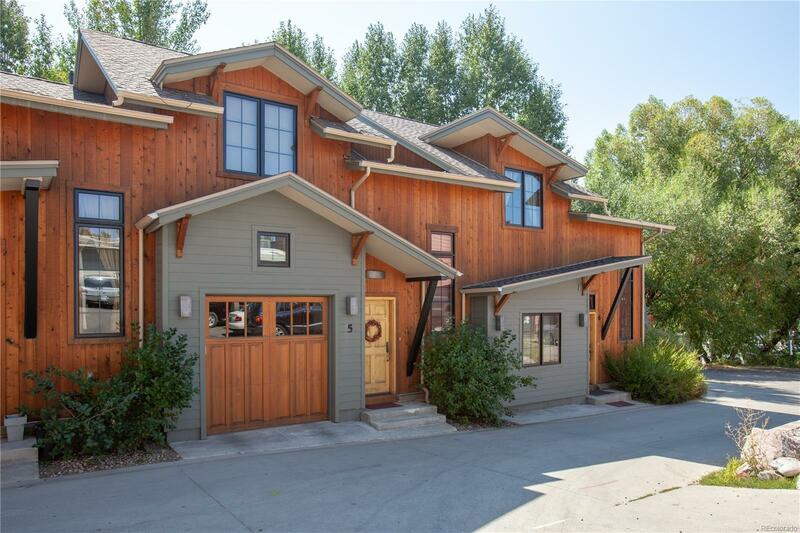 This residence is situated on Butcherknife Creek with views of the Yampa River. The floor plan lends itself to easy living. Bedrooms are well spaced providing privacy for family and friends. The spacious master leads to a loft perfect for an office, while extra space on the lower level can be used for a second living area or toy room. The attached one car garage provides vehicle and gear storage, and snowmelt in the alley makes entry a breeze in the winter. HOA amenities include a private ski locker located just steps from the gondola. The property is fully furnished with excellent rental income potential.